The Co-Operative scientists were programming the robots to handle and shoot a gun. They got the program working flawlessly and then they expressed their frustration over Michael’s inability to bring about Armageddon immediately. Ms. Venable waltzed in and reminded the scientists of the upcoming meeting with the head of the Co-Operative. Venable asked for a position with the Co-Operative, but the scientists refused to help her. At the witch academy, Mallory had quickly taken to her new position as Supreme-to-be. Cordelia had managed to put a magical shield around the school which would keep out all humans and demons. Michael arrived at the academy and used a voodoo ritual performed by Dinah to break into the building. He was accompanied by robotic Ms. Mead who had been armed with a shotgun for an arm. 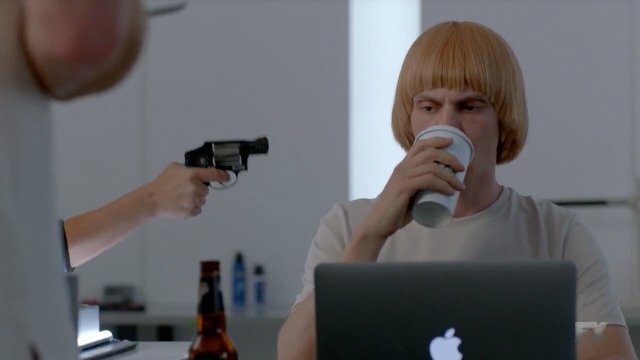 Michael killed all of the witches other than Cordelia, Mallory, and Myrtle. Michael returned home with Ms. Mead and expressed his frustration with Cordelia’s escape. He conversed with Ms. Mead and we learned that the scientists were controlling what Ms. Mead was saying. Michael agreed to return to the scientists and learned of all of the members of the Co-Operative were told that all of them would follow whatever Michael ordered. Michael became enlightened to the ease of bringing about Armageddon. He decided to proceed with ending the world as it would also lead to the end of all witches. Cordelia had taken all of the survivors to a secret hide-out in the swamps of Louisiana. Cordelia had a vision and learned that Michael had killed the souls of all of the witches back at the academy. Madison explained how this was possible and Cordelia was angry that she hadn’t revealed this information earlier. Cordelia and Myrtle tried to use Mallory’s powers to go back in time and reverse the events of history to make it so that Michael was never born. Mallory was first tasked with stopping the assassination of Anastasia Romanov as a test of her powers. She managed to go back in time and protected Anastasia through magical methods. Cordelia wanted to accelerate the process of Mallory becoming the next Supreme, but Myrtle refused to allow it. They decided to go back to the warlocks to garner their support against Michael, but they found all of the warlocks murdered. Back with the Co-Operative, Ms. Venable was offered the position of running one of the Outposts in the upcoming apocalypse. She accepted the position. Michael managed to jump start the end of the world with the help of the Co-Operative. 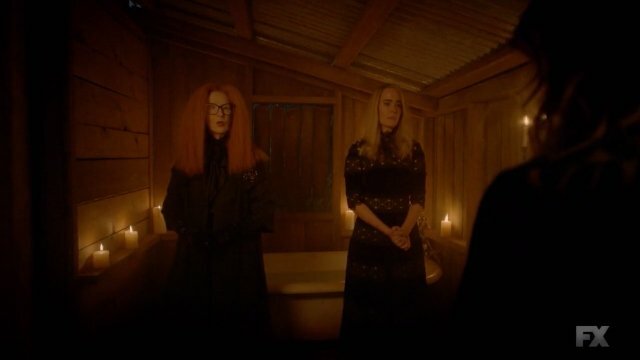 What did you think about American Horror Story: Apocalypse episode 9? Let us know down in the comment section below! 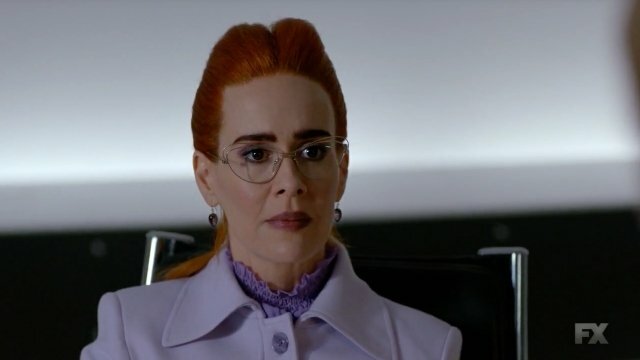 The post American Horror Story: Apocalypse Episode 9 Recap appeared first on ComingSoon.net.